Full page motoring theme illustrations in Car Topics magazine circa 1925. 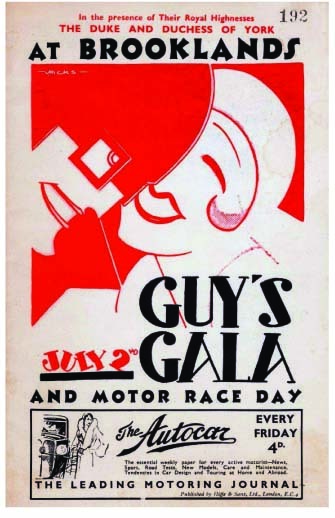 Programme design for Guy’s Hospital Gala Day at the Brooklands race Track in 1933. Have seen a reference to a Victor Hicks who died in 2010 who was a graphic designer, and propaganda artist unlikely these are the same person.